Caffeine is the natural stimulant found in most energy drinks and morning coffee – but it doesn’t just give us energy, it’s also a potent fat burner was a must have in Instant Knockout. The way caffeine anydrous works is simple: In our brains, an inhibitory neurotransmitter known as adenosine binds to receptors and increases the urge to sleep by decreasing cell activity – with levels rising every hour of the day. Caffeine anhydrous is so structurally similar to adenosine it can take its place in the brain, but this time it raises cell activity rather than lowering it. This results in an increased level of wakefulness which promotes energy, power and metabolism – all of which are vital to someone serious about cutting. It doesn’t just help you physically either, caffeine anhydrous also provides numerous mental benefits that improves reaction times and logical reasoning when supplemented – a great way to keep your wits about you during a fatiguing cut! When starting a low calorie diet, one of the biggest problems you face is a sudden drop in energy. Gym sessions stop being as engaging and motivation can plummet entirely, with the end result being you putting more distance between yourself and the figure you want. With caffeine anydrous, taking in less calories becomes more tolerable. 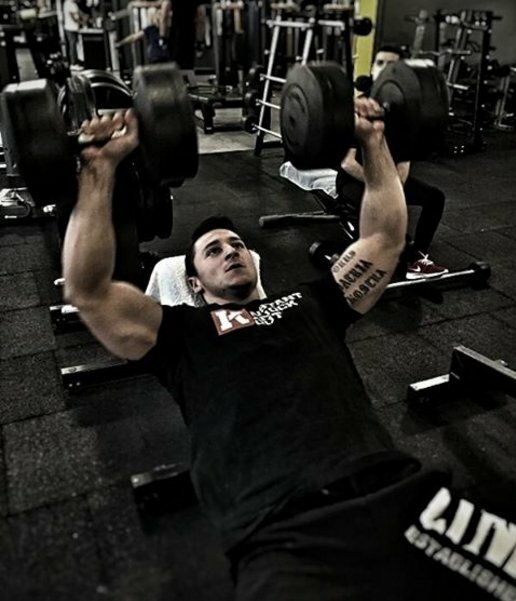 Your ability to focus increases and you feel more confident when it comes to tackling harder gym sessions. By supplying your body with caffeine, you can command more from your workout, with less calories. Training can go on for as long as it needs to, while still bringing enough intensity to keep you constantly progressing. As its also a metabolism booster, caffeine can help increases the amount of calories burned and helps towards increasing any caloric deficit. One study involving sprinters , supplementation of caffeine was seen to help increase power output and boost overall performance compared to those not using the stimulant. Whereas another study  shows the connection between the supplement’s ability to boost metabolic rate, making it a vital tool to the fat burning process. Cutting is hard enough already – just because your diet is suffering it doesn’t mean that your workout should to. That’s why to make things easier we’ve included 300mg of caffeine anhydrous in every daily serving of Instant Knockout. This amount is the perfect balance between absolute safety and 100% effectiveness, offering no jitters or inconvenient headaches while still providing your body with what it needs to perform both in the gym and on a diet. But it’s not the only thing that makes Instant Knockout so effective – see the rest of the highly effective natural ingredients we’ve used in Instant Knockout and how it can help you here. Schneiker KT, Bishop D, Dawson B, Hackett LP. Effects of caffeine on prolonged intermittent-sprint ability in team-sport athletes. Med Sci Sports Exerc. 2006;38:578–85. doi: 10.1249/01.mss.0000188449.18968.62. Astrup A. et al. . Caffeine: a double-blind, placebo-controlled study of its thermogenic, metabolic, and cardiovascular effects in healthy volunteers. Am J Clin Nutr 51, 759–767 (1990).